The death of a pet means the death of a beloved family member. This loss and the resulting grieving process is similar to the loss of any other family member. Although the pain may seem unbearable, there are some things you can do to help yourself and your family through this difficult time. You may hear well-meaning friends or family tell you it was "just a pet." They may not understand the intense amount of grief you are experiencing. However, research shows the attachment you formed with your pet is as strong as the attachment you form with any human family member. As a result, the grief you experience is similar to the grieving process you would go through when losing anyone. There is no "average" length of time for the grieving process. 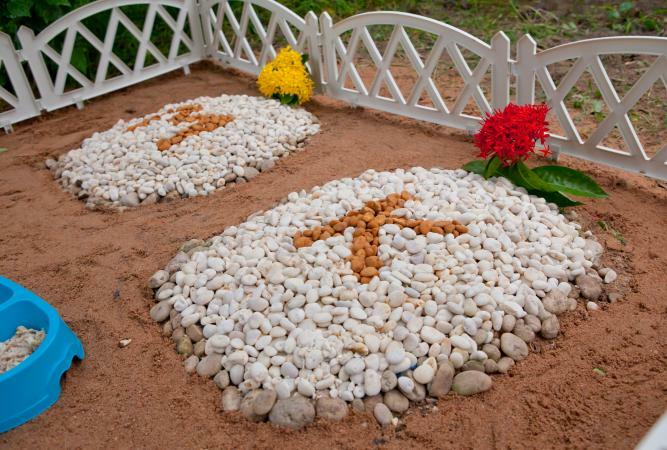 Some people may be able to accept the loss of their pet in a matter of weeks, while for others, it may take years. Don't feel that you need to rush through this process. With that said, there are some things you can do to help yourself move toward the acceptance stage in the grieving process. Cherish your memories. Don't try to avoid your memories with your pet. Although they may sometimes be painful, avoidance will only keep you in denial longer. Looking at pictures, writing down memories, or talking to others about your pet can be a therapeutic way to remember the happy memories and move toward acceptance. Some people even write a letter saying goodbye. Engage in a ritual. Whether it's a memorial where your family and friends talk about your pet or planting a tree in your pet's honor, a ritual may be the concrete action you need to help you get closer to acceptance. Take care of yourself. You have just experienced a horrible loss. Be extra kind to yourself. Make sure you are eating right and sleeping well. Do some things you want to do. Spoil yourself. Do what you need to do to help yourself to feel better. Care for your other pets. Make sure you are giving extra attention to your other pets. Not only will it be good for you to focus on the pets you still have, but it may be vital to them. Remember, your pets have also experienced a loss. 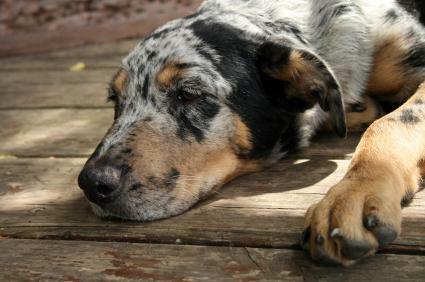 The loss of a companion could affect pets to the point that they aren't eating or drinking as much as usual. Make sure they get extra attention and watch for any signs of illness. Rainbow Bridge is one of the most comprehensive websites with information on dealing with the loss of a pet. This site includes a pet loss forum and chat, as well as a chat specifically for teens. Rainbow Bridge also offers a referral list of hotlines. Association for Pet Loss and Bereavement is a website run by professionals trained in pet bereavement counseling. They provide counseling, online chat rooms, online forums, and referrals to local pet loss support groups. Pet Loss is a website that provides telephone counseling, online support groups and forums, and referrals to local pet loss support groups. Lightning Strike provides online forums and chats. They can also recommend books about pet loss. The site has an extensive list of other websites that provide support. Don't tell a child the pet has "gone away." This will only lead to the expectation the pet will be coming back which is confusing to a child. 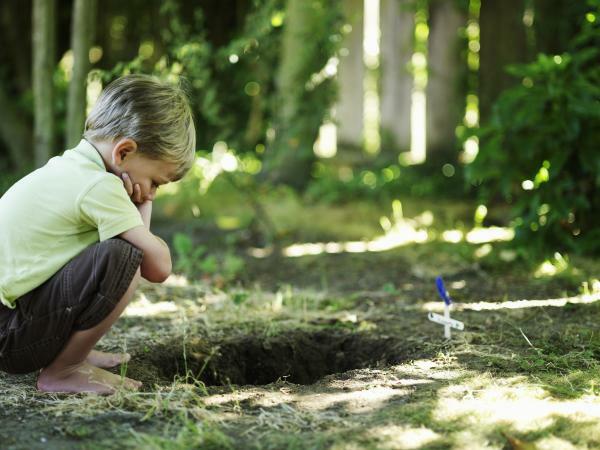 Don't merely tell a child a pet has "gone to heaven." A small child isn't going to understand what that means. Don't use the phrase "putting a pet to sleep." This can give the child a fear of going to sleep and never waking up. Stress the pet is no longer in pain. Explain death in plain, understandable terms. Explain the pet won't wake up or come back. If the pet hasn't died yet, explain what was or is wrong. Decide if the child should be there when the vet puts the pet down if that is an option. This is a decision you are going to have to make, based on the maturity level of the child and whether you think it would be better or worse. These symptoms may be an indication of depression that should be treated by a professional. Will you resent a new pet? Are you still focused on your memories? Do you want a pet to replace your lost pet? Will getting a new pet be detrimental to your current pets? Do you think a new pet will help ease you through your loneliness? Have you worked through your grief enough that you can look forward to a new relationship? Are you willing to wait to find the right pet for you and your family? Is every family member ready for a new pet? If your answers to the first four questions are yes, it's not the right time to get a new pet. If your answers to the last four questions are yes, you may want to think about looking for a new pet. If you are unsure, try volunteering at an animal shelter and see how you react to the animals there. Volunteering with animals may help you in making your decision. 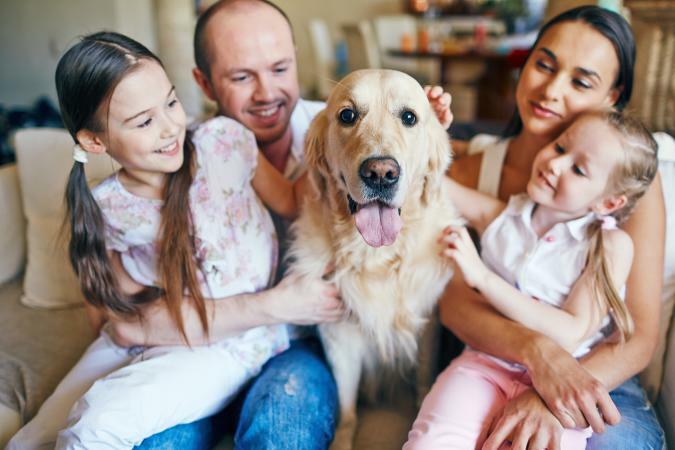 Find the right pet for you and your family. Talk to shelter staff who know the animals. Ask about the behaviors and temperament of the animals. Make sure to find a pet that will fit into your existing family. Choose a pet that looks different from your former pet. Find an animal that is a different color, has different markings, or is a different breed. Finding a pet that looks different will help you in not expecting this pet to "replace" your old one. Involve the entire family in the decision-making process. This pet will affect every member of the household. Make sure that everyone agrees on the right pet. Enjoy the individuality of your new pet. This pet isn't going to do what your old pet did or be what your old pet was. Each animal has a unique personality. Enjoy getting to know the personality and behaviors of your new pet and appreciate it for who and what it is. Many people think that moving forward after a pet's death means letting go of their precious friend that has passed. This isn't true. You can accept your pet's death as a natural and unavoidable process while still holding on to the memories you had. Your pet will forever have a special place in your heart. Accepting its death will never change that. Acceptance only helps you to let go of the pain so that can more fully appreciate the joy that the two of you shared. Your pet may be gone but your love isn't, and it never will be.